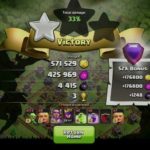 GoWiVa Attack Strategy is a very new technique of attacking in Clash of Clans, which include troops like Golem, Wizards and Valkyries. 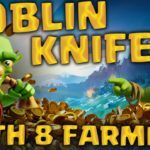 Well, we all know upgrading P.E.K.K.A and Golems are really pain as it requires a whole lot of elixir and dark elixir. 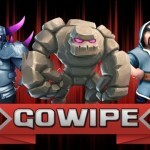 GoWiPe is a very famous and effective strategy in Clash of Clans but the GoWiVa can yield much better results. 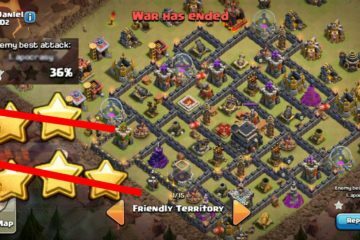 GoWiPe is ideal for a 2-star triumph yet it’s still really difficult for getting a 3 star on maxed TH8. So a substitute for PEKKA, which can do more damage, have much better mobility and a speedier attack, and it is Valkyrie. 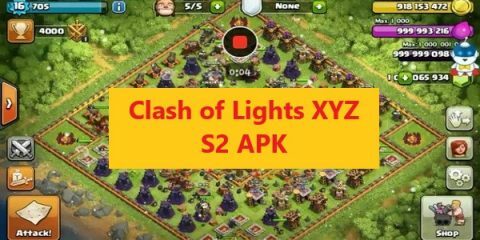 For the attack you will need 5 wall Breakers (at least lvl 4), 9 Wizards (at least lvl 5), 11 Valkyries any level can do the job if you are attacking TH 8 and for Th 9 a higher level is required, 2 poison spells to clear up the clan castle troops, 3 heal spells (if you have TH9 and upgraded spell factory, you can use 1 rage along with the 3 heal spells but make sure the spells are of at least lvl 5), 2 Golem (lvl 1 or higher than that is preferred), a single hog to bring the clan castle troops out so that you can drop your poison spells, and a single archer. 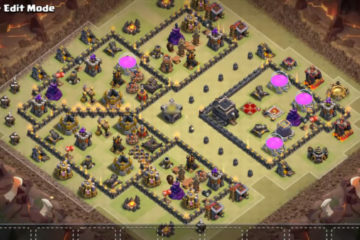 For players with TH 9 and upgraded army camps can use a higher number of Valks and Wizards. The attack isn’t that difficult like the GoWiPe. Just follow these simple steps. 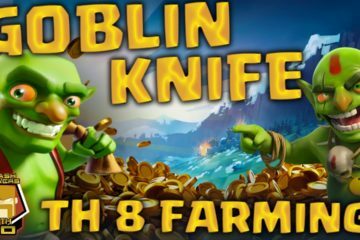 Send a hog towards the defense that is nearest to clan castle. All the cc troops will come out. 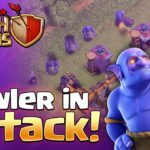 Throw poison spell over the clan castle troop and wait for them to die. If there is a dragon in the cc then you have to be careful with poison spells. Drop first poison spell over the dragon and then drop the second one when you see the effect of the first spell is degrading. Alternately, you can use Wizards behind Golems to kill the clan castle troops and carry the haste spell instead of poison. 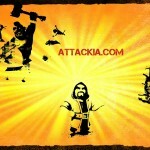 Throw your Golems on the toughest side where the Golems can cover the maximum defense. 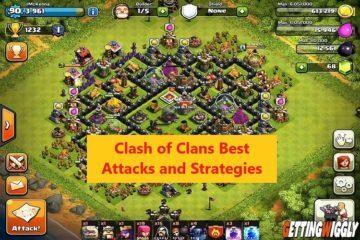 Behind the Golems drop your Wizards to take down the defenses and other buildings. Just after that immediately drop wall breakers to take down the walls. Drop your heroes i.e. Barbarian king (with at least lvl 1 ability) and archer queen if you are Town hall 9. Now that’s the time to send the Valkyries. Throw the heals whenever you see the health of Valks getting low. Be careful with spells. 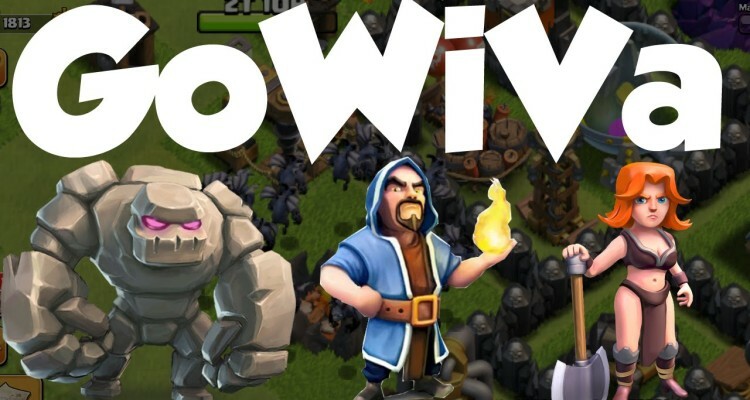 GoWiVa is a pretty good strategy to take 3 stars over a maxed TH 8 or strong TH 9 with weaker walls.